Steve Jobs once said, “Don’t let the noise of others’ opinions drown out your own inner voice”. Have you ever noticed how many successful entrepreneurs around the globe share one meticulous trait in common? They all exude confidence. Whether they are speaking at a conference in front of hundreds or even thousands of people, being interviewed in the media or simply engaging with their customers or employees, they all come across highly confident which is incredibly contagious. It makes their audience feel inspired and even confident in their own ability to deliver an exceptional experience, product or service. As an entrepreneur, whether you’re starting out or already established, a lack of confidence can hold both you and your business back. People believe and are sold in the story you are telling not the product or service in which you a selling. It all starts with self-belief. When an entrepreneur tells their story, they are all extremely passionate about their product or idea. They believe in their ability and the business they are building. This self-belief provides them with the confidence to deal with the many hurdles and hard knocks along the way. They eliminate the excuses and find solutions to the challenges which face them, and seize the moment when opportunities present themselves. So if you are lacking confidence and self-belief, it is difficult to have a pragmatic approach to an issue or challenge and in turn, eliminates the opportunities which present themselves. I work out of the Sutherland Shire’s largest coworking space, Inspire Cowork. There are over 40 businesses in the space and it’s amazing to see how all the different businesses communicate and collaborate with each other. On a daily basis, I find myself intrigued by the level of comfort and confidence which emanates from the members. Whether the members are working within the coworking space or within a private office, the sense of community is always in the air. I find that working in an environment where you can collaborate and network with like-minded people on a daily basis who are not judging you by the story you are selling, really gives you the experience and confidence to do it when it really counts. Your demeanour is the way in which you behave. If your behaviour comes across as a confident person, people will believe that you are confident. It’s in your poise, maintaining eye contact, staying true to yourself, your appearance, your tone and doing what is right. Jeff Thomas has a theory about what it takes to project self-confidence. It’s all in a very simple formula: Confidence = Calm + Certainty. Sounds so easy right? It really is that easy. Stay cool and be certain of yourself, your actions and your words. “Confidence is like a muscle, it gets stronger the more you use it”. If you can practice being the confident version of yourself on a daily basis, you will become that person. It’s all in the saying “fake it till you make it”. A huge benefit of working out of a coworking space allows you to do this on a daily basis without it making you feel uncomfortable are silly. Each time you go to grab a coffee or walk to the balcony for some fresh air, there is a like-minded person present which you can practice on. People believe and buy into the story you tell not the product or service you are selling. You need to know and understand your purpose. What’s your why? Once you know your purpose and have a powerful story behind your why you will feel and be so much more confident in selling it. You need to believe in yourself, your business and the value in which you are creating through your product or service you are selling. 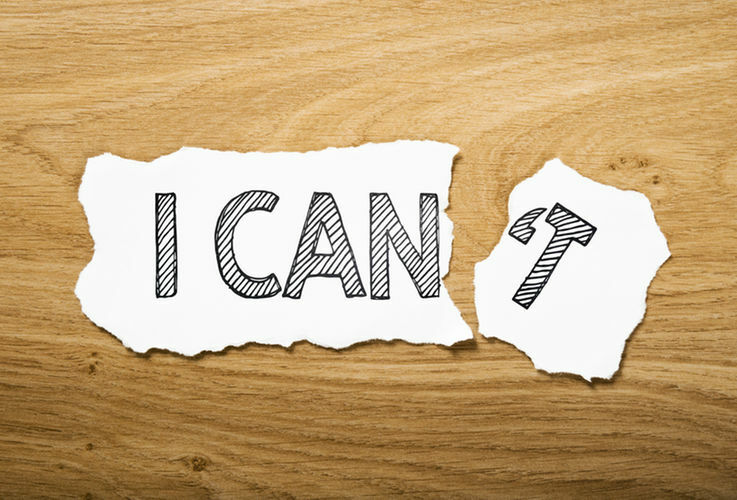 You need to harness the self-belief to really take you confidence to the next level.